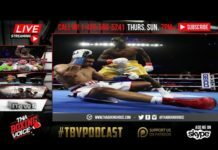 GGG vs Munguia PPV😒, Lara vs Hurd PREVIEW🔥, Garcia vs Porter ORDERED👀& More! Gennady Golovkin vs Jamie Mungia on HBO PPV?! Thoughts? 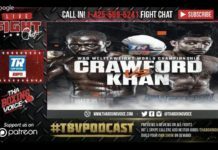 Erislandy Lara vs Jarrett Hurd junior middleweight unification breakdown and preview. Who wins and how? Plus Caleb Truax vs James DeGale 2. 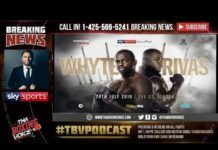 Oscar de la Hoya went on social media to make a case that Anthony Joshua vs Deontay Wilder needs him to have US PPV success. Is he right or wilding out? Danny Garcia vs Shawn Porter could be ordered by the WBC for an interim belt. Right move? Next article👀Mayweather MMA DEMANDS, Lara vs Hurd REVIEW🔥, Lomachenko vs Davis😱& More!